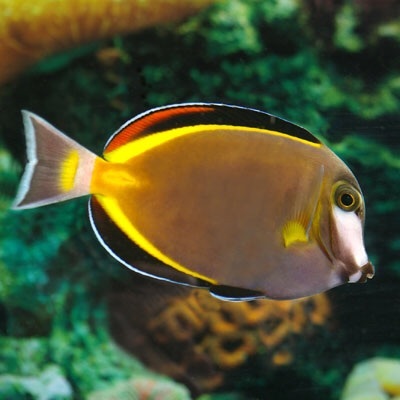 These tangs are reef safe and rather passive – it will have a hard time with more aggressive fish, and it is recommended to only keep one per tank. This species is easily susceptible to Marine Ich (Cryptocaryon irritants), when stressed by other fish, bad water quality, or when relocated, and requires liverock to hide behind and around. Even though these fish enjoy a diverse type of frozen foods, it is imperative that its primary food is algae based, and it should be fed at least 3 times per week.